Je vends cette tablette neuve, jamais déballée. 1.6GHz Quad core with Android 4.4. 16GB internal Storage. This may not be suitable as a gift. Central London – E1 E2 E14 N1 N5 N7 NW 1-8 SE1 11 16-17 SW1-13 18. Micro SD card. Southern Ireland (EIRE). Top Gerät- läuft stabil und hängt nicht. No respondemos por ninguna pérdida o robo. Si la garantía es ofrecida por Uldan Elettronica SRL, los productos defectuosos, con autorización previa, pueden devolverse y serán reemplazados. En ausencia de una solicitud de factura, el pedido se envía junto con un recibo de venta. PRODUCT PHOTO CLOSED BY US. No respondemos por ninguna pérdida o robo. Si la garantía es ofrecida por Uldan Elettronica SRL, los productos defectuosos, con autorización previa, pueden devolverse y serán reemplazados. 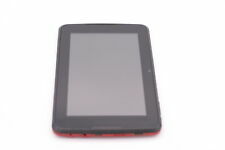 Polaroid Tab 10 (P1001) 10" 16GB 2GB 5MP Android Tablet. Micro SD Card Slot - Add a 32GB Card and Upgrade storage to 48GB. 16GB internal Storage. 1.6GHz Quad core with Android 4.4. Polaroid Platinum 10.1" MIDW147 Windows 10 Touch Screen Tablet As Is. Functionality : Working laptop/tablet, however the touch does not seem to respond, mouse itself works fine. Also the sound shows in taskbar with a red cross on it. Tablet polaroid mid0724 non funzionante. Polaroid Tab8 7.85" Tablet 16GB Quad Core Android 4.4 KitKat 5MP. 1.6GHz Quad core processor with Android 4.4 kitkat. Professionally Refurbished by a Valutech Service Centre who are fully accredited by Samsung, Acer, Toshiba & Fujitsu. Polaroid Tab8 7.85" Tablet 16GB Quad Core Android 4.4 KitKat 5MP. 1.6GHz Quad core processor with Android 4.4 kitkat. 16GB internal Storage. touch 7.85" HD screen. Micro SD card. Scottish Highlands, Scottish Isles, Northern Ireland, Isle of Man and Isle of Wright. Functionality : Laptop/tablet powers up to a blank screen. You can see the back light if you look at the screen in a darker place. I believe these have the French keyboard layout. Sold as photographed. I typed in 'Exit' and it went to another screen as can be seen in image n 6. From there I pressed 'Continue' and it went back to the 'UEFI' screen. I believe these have the French keyboard layout. The screen on this one is cracked. Android 7.0. 16GB internal storage Micro SD card slot. It in good used condition as seen in the pictures provided what you see is what you will receive. Has been tested and works. 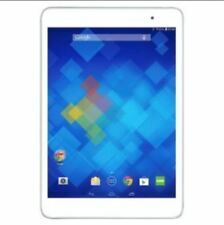 Tablet Android 7" HD 1024x600. Micro SD card Slot. Polaroid L9H 9" Quad-Core 16GB Wi-Fi Tablet Bundle. NEW battery!!! This is a nice piece without having to spend a lot of money. 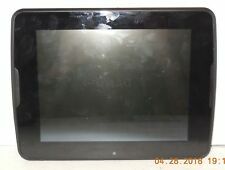 Used Polaroid PTAB7XC Tablet in Very Good Condition. A Great Basic Tablet For Kids. Tablet, Case, User Manual and Quick Start Guide. Does not include Original Box or USB Charging Cable. • A mini-USB port (where you could plug in a small keyboard, for example). Upgrade your tablet experience and enjoy the fast dual-core processor, 7" capacitive multi-touch display, and Android 4.4 Kit Kat. Android 4.4 Kit Kat. We do our best to notate each flaw. This refurbished unit has been thoroughly inspected, repaired and tested by our in-house, factory-trained technicians. You can expect a fully-functional unit. Work Great! "AS IS" for parts only. Cracked glass digitizer. See photo #2.